Yukari Furikado-Koranda earned her MA from LTS in 2010. 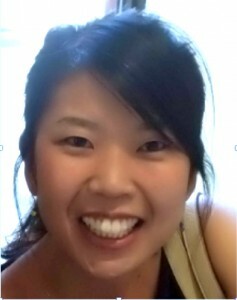 She is a Japanese Instructor in the Department of East Asian Languages and Literatures at the University of Oregon. Her MA Project was titled, Online Tandem Learning Materials for Japanese Students and American Students: A CALL Teaching Portfolio. This portfolio took advantage of the LTS focus on multiple languages by integrating both Japanese and English language instruction into one project. What attracted you to the LTS program originally? I liked LTS program originally because you can complete the MA program in five consecutive quarter terms (15 months). That was very attractive to me because I was working as an full-time English teacher in Japan before coming to this program and I wanted to get MA in Linguistics as soon as I could so that I could go back to Japan and continue to teach. However, I had the great opportunity to teach Japanese classes as a TA and I found out that teaching and studying at the same time was very challenging, so I decided early in the program to take two years to finish LTS so that I can spread out the required courses a bit, which turned out to be perfect for me. What did you learn in LTS that you still use in your teaching today? I still use the narrative fluent speaking activity that I learned in an LTS class. This activity goes like this. I have students think of a time they traveled somewhere (could be any topic) and have them tell a story to their partner in 3 min. After that, change the partner and have them tell the same story in 2 min. Then again have them tell the same story to another person in 1 min. Telling the same story to a different classmate over and over and having a time pressure helps them practice speaking fluently. My students love this activity! What advice would you give future LTS students? I suggest that you make good use of the opportunity to go observe teachers’ classes. The LTS program gives us many opportunities to go observe different teachers teaching in different settings. When I was in LTS, I was able to see teachers teaching English at the AEI at UO, Japanese in K-12 in Eugene and also in the Japanese elementary immersion school. I appreciate these wonderful opportunities because I could learn so much from seeing how others are teaching. That was a priceless experience for me and I bet you will feel the same!